Sept. 24, 2018 - With more options in more applications, USNR has a log infeed solution that’s right for you. From ELI’s with flight simulator technology that slews, skews, and tilts to compact single-length positioning infeeds, you’ll be amazed at the strategic options available to deliver the ultimate in positioning accuracy. Our renowned scanning and optimization systems coupled with the unique Precision Geometric Log Rotation (PGLR) system ensures you capture more recovery from your logs. 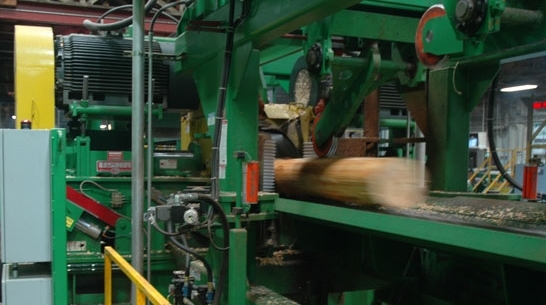 Whether you’re a large or mid-size operation, running small or large logs, our systems deliver high speeds, high piece counts, and highly accurate log positioning. Ask us about solutions for your requirements.